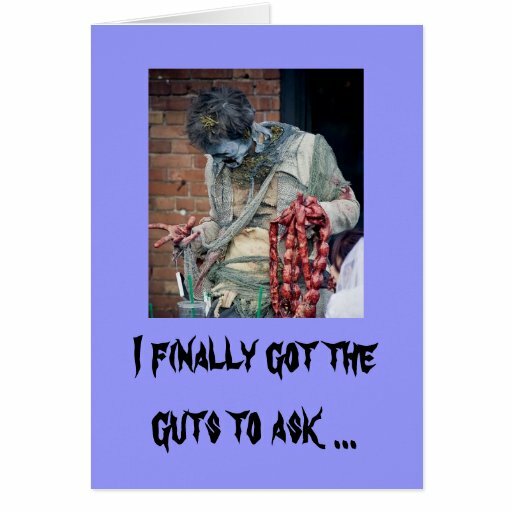 Zombie Valentine’s Day Cards look to remain just as popular in 2017 as they have been for the last couple of years. 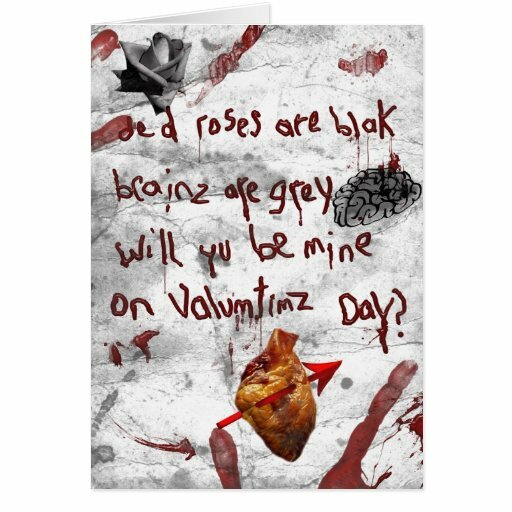 Whether you’re an i-Zombie fan or more of The Walking Dead style of Zombie fan you are sure to enjoy one of these Valentine’s Day cards. 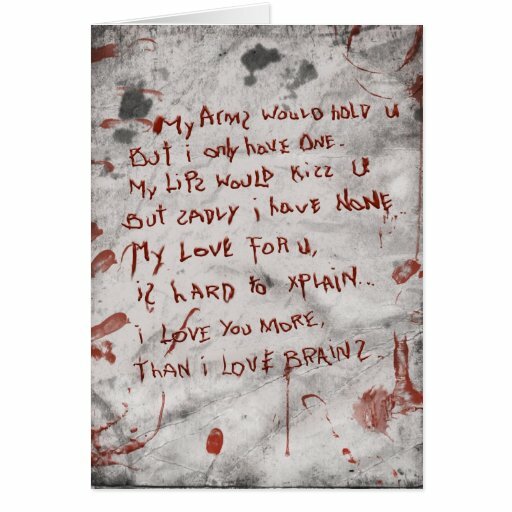 I know some people are still a little upset that the Zombie Apocalpse didn’t actually happen in December 2012 so you could cheer them up with one of these cards this Valentine’s Day. Personally as much as I like watching Zombie shows I’m not sure I would have survived the apocalypse, but one of these cards would still go down well for me! 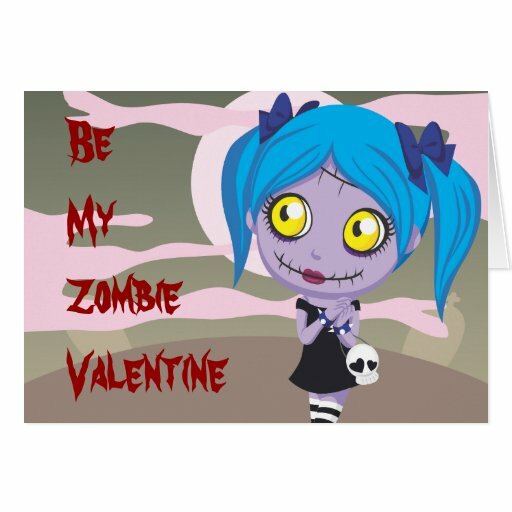 Whether you like funny Valentine’s Day cards, cute Valentine’s Day cards or even just heartfelt cards there’s a Zombie Valentine’s Day card to suit you on this page so try and show the person you love how much you care with a card instead of ripping their actual hearts out on Valentine’s Day. Let’s face it Zombies did use to be people so who’s to say that they can’t feel love and want to celebrate Valentine’s Day with someone special …… okay the chances are they’ll want to eat that person’s brains, but you have to take a risk for love don’t you??? 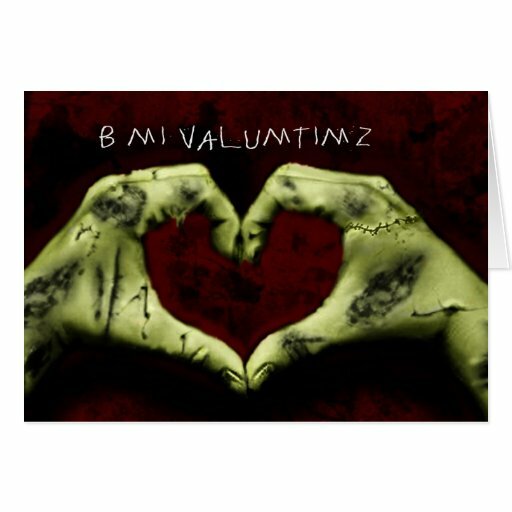 As some believe that zombies can feel love – Warm Bodies anyone – it stands to reason that there should be some ‘cute’ Zombie Valentine’s Day cards available. 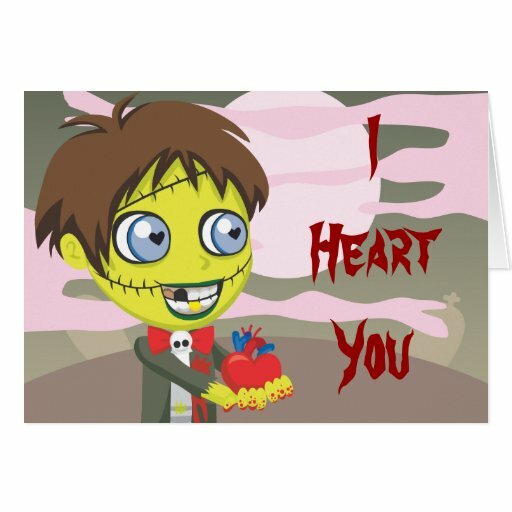 I’ve found a couple that are sure to be appreciated, after all who can resist a Zombie that offers up a heart? They may be the undead, but they can still write poetry – the spellings a bit iffy, but the emotion is still there. 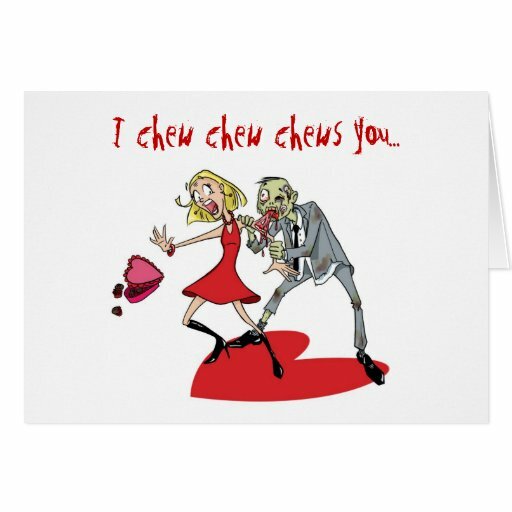 Celebrate Valentine’s Day with these romantic Zombie love letters in the form of greeting cards…..
Can love even conquer the undead? 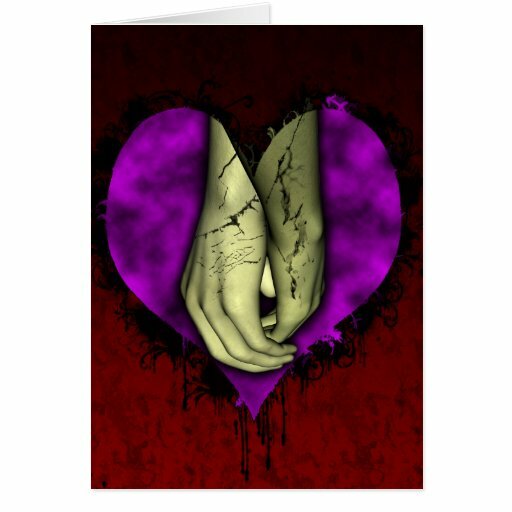 In Warm Bodies we see a Zombie and human holding hands and in this card we see two Zombies hand in hand. 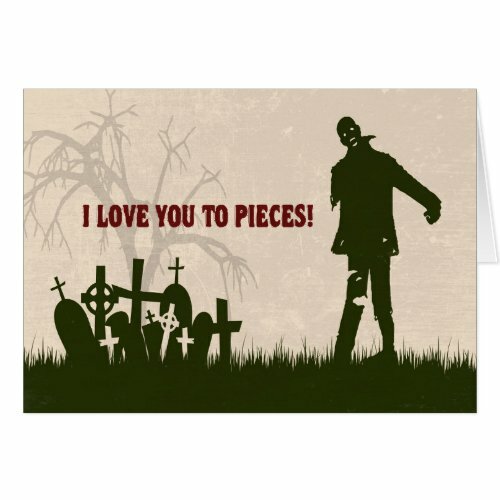 This card is a very romantic one as far as Zombie Valentine’s Day cards go – it’s an image that just makes you want to sigh at the thought of love overcoming the fact that you’re both undead – love really is eternal!